Despite the misconception, fruit is not just a huge pile of fructose, and there are many low carb fruits. And some of them are incredibly nutritious and beneficial for our health. Providing you are sensible, you can eat fruit on low carb and even keto diets. This article provides a list of the best low carb fruits for health, their nutrient profile, and health benefits. To make it a fair comparison, you can see the carb count per portion, as well as net carbs per 100g. Avocado is probably unrivaled as a low carb fruit. 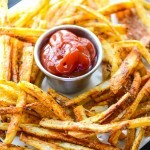 The reason is that it supplies a huge amount of healthy fat rather than fructose. 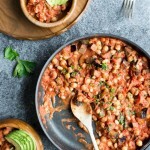 It is also delicious, works well with almost any food combination, and it is the key ingredient in Mexican staple guacamole. Avocados are extremely nutrient-dense and contain a wealth of vitamins and minerals. 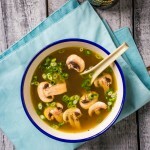 Consumption helps improve blood lipid profiles, enhances the bio-availability of vitamins and minerals, and clinical studies show they may help improve cardiovascular health (2). Avocados reduce the risk of metabolic—and cardiovascular—disease. Also, epidemiology shows a strong association between avocado intake and lower body weight and higher HDL levels (3). 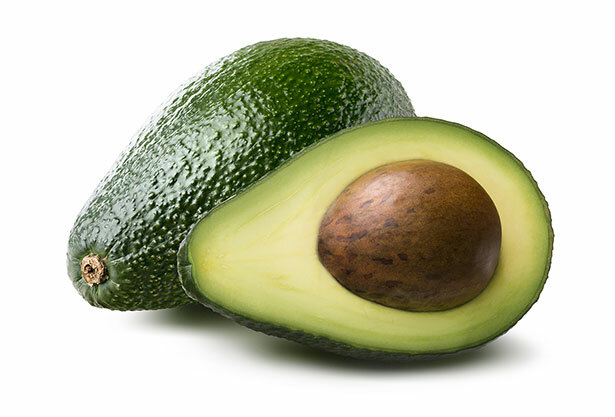 Similar to other fruits, avocados contain a range of bioactive polyphenols that help support optimal health (4). Key Point: There are 3.6 grams of net carbs in one avocado – and 1.8 grams per 100g. Blackberries are one of my favorite fruits, and they are healthy and tasty, not to mention reasonably low in carbohydrate. These berries are also full of healthful phytonutrients — especially wild blackberries. Studies show that blackberries contain large amounts of antioxidants that protect against free radical damage and result in changes that protect against inflammation in the brain — potentially helping to fight dementia (6). 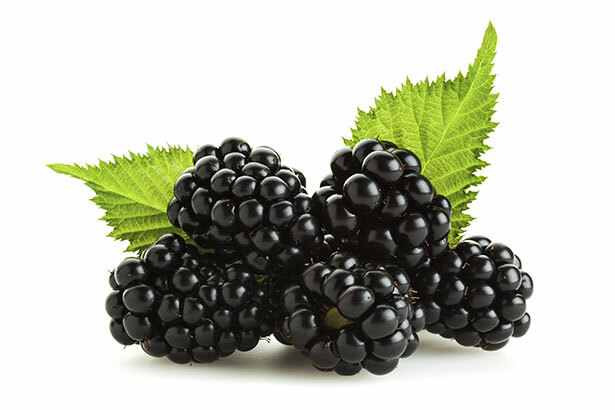 Both epidemiological and clinical studies show that blackberry intake leads to a decrease in CVD risk factors. 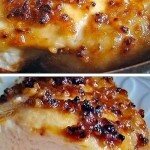 Namely, lower blood pressure and blood glucose, and also a better cholesterol profile (7). Blackberries have a long history of medicinal use. At the present time, blackberries play a role in modern medicine due to various compounds they contain with anticancer, antidiabetic and antimicrobial effects (8). Key Point: There are 7.1 grams of net carbs in one cup of blackberries and 4.9 grams per 100g. Blueberries are one of the tastiest fruits out there, and they are reasonably low in carbohydrate. Like other berries, blueberries provide a lot of polyphenols — especially if you can find wild blueberries, which contain significantly more than commercially cultivated berries. An 8-week randomized, double-blind, placebo-controlled clinical trial with 48 participants shows that daily blueberry consumption may reduce blood pressure and arterial stiffness. Compared to the control group, the blueberry group had lower levels of inflammation and antioxidants in the blood (10). In human trials, 12 weeks of daily blueberry supplementation reduced depressive symptoms and glucose levels in older adults. Additionally, those taking the blueberry supplement showed improvements in memory on memory tests (11). Randomized controlled trials show that bioactive compounds in blueberries such as anthocyanins (an antioxidant) help improve insulin sensitivity in obese adults (12). 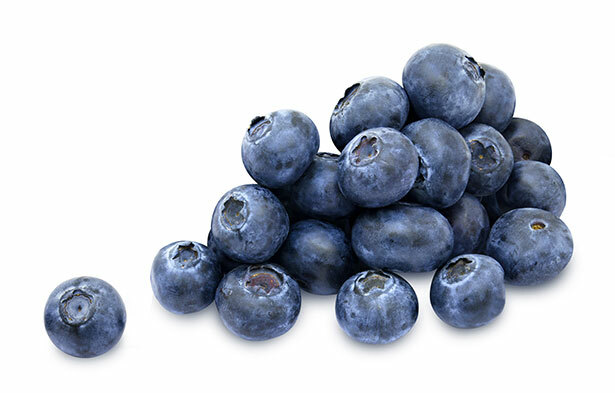 Key Point: There are 17.8 grams of net carbs per cup of blueberries – 12.1 grams per 100g. 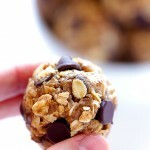 Coconuts are very useful for making various low carb snacks too. 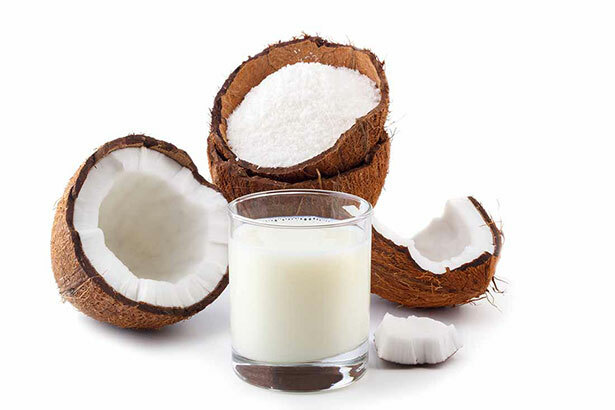 In a study of 60 free-living, healthy participants consumed coconut milk for 5 days per week over 8 weeks. The result was a decrease in LDL levels and a significant rise in HDL levels – therefore having a beneficial health impact (14). Coconuts contain a large number of medium chain triglycerides (MCTs) that are used by the body to produce energy quickly. Besides this, coconut fats are very heat-stable due to their high degree of saturation (15). Key Point: Coconuts contain 5 grams of net carbs in a cup serving and 6.25 grams per 100g. 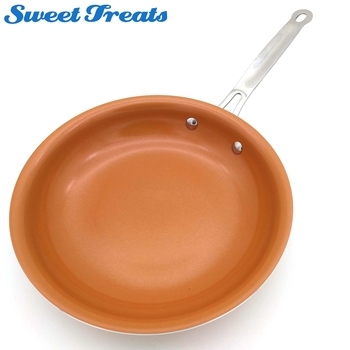 Cantaloupe is a kind of muskmelon, and they are native to both Europe and North America. Although they have a very similar profile to honeydew melons, they are a little different. Despite their sweet and succulent taste, cantaloupes are one of the top low carb fruits and only contain minimal carbs. 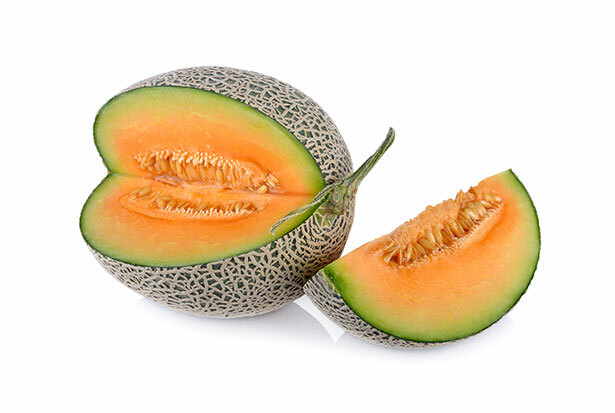 Cantaloupes are extremely high in vitamin A, which helps maintain and protect eyesight (17). Cantaloupe is one of the most significant dietary sources of vitamin C, which plays a major role in immune health (18). Key Point: Cantaloupes contain 8 grams of net carbs in one medium size wedge (approximately 100g). To be honest, I have a hard time eating gooseberries — they are just so extremely sour! However, gooseberries are one of the best low carb fruits and contain minimal sugar. Gooseberries contain a vast amount of polyphenols, and clinical studies show that their extracts have anticancer properties. A concentrated extract is not the same as eating the fruit, but it does show that they contain beneficial compounds (20). 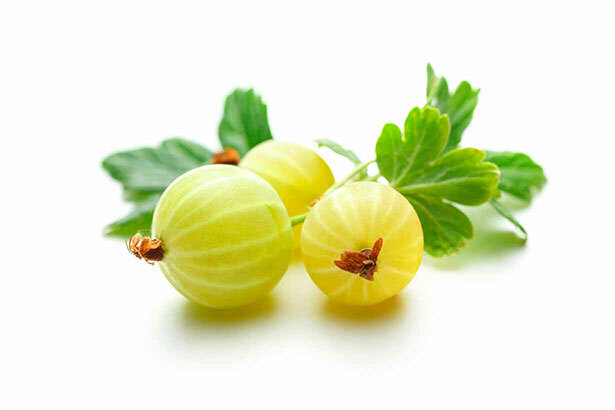 The gooseberry is a decent source of the class of compounds known as anthocyanins. 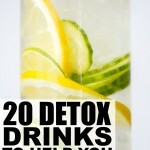 These compounds help fight free radicals and offer anti-inflammatory benefits (21). Key Point: Gooseberries contain 8.9 grams of net carbs per cup and 5.9 grams per 100g. 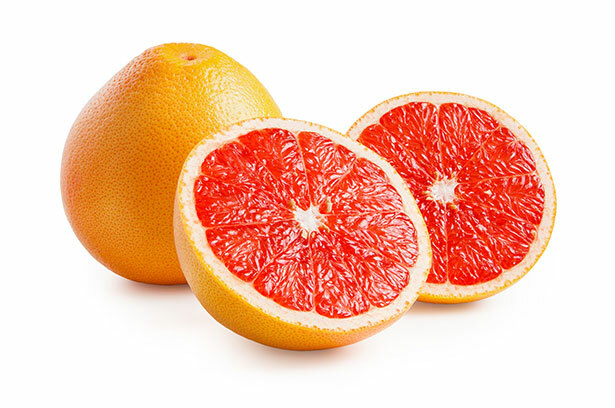 Slightly sour tasting, grapefruits are a low sugar fruit with a reasonably low carb count. There are all sorts of ways to eat grapefruit, such as putting a few slices in hot water to make grapefruit tea. Eating grapefruit just in its natural state is also great. Grapefruits contain a significant amount of vitamin C; just 50 calories of grapefruit provides 64% of the RDA. A range of studies suggests that grapefruit may help lower postprandial plasma glucose and improve insulin sensitivity (23, 24, 25). Key Point: There are approximately 11.1g of net carbs per half of a grapefruit. With a net carb count of 9.1 grams per 100g, grapefruit is one of the reasonably low carb fruits. Lemons are a native species of fruit to Asia, and they are among the fruits lowest in carbs. 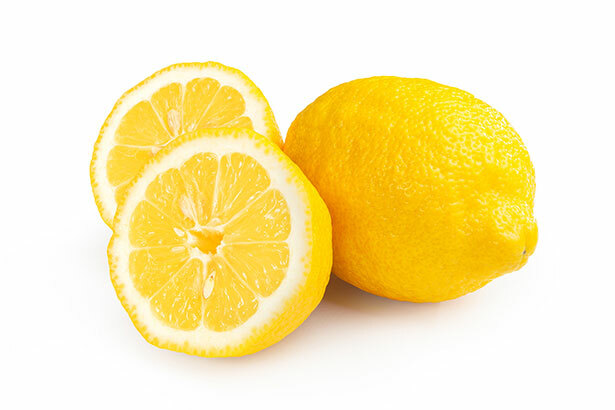 The sugar content in lemons is relatively small, and they can have a very sour taste! Similar to other citrus fruits, lemon contains a good amount of vitamin C.
An epidemiological study on middle-aged and senior women shows that there was a significant decrease in blood pressure with increasing lemon intake. (27). Animal studies suggest that the antioxidative polyphenols found in lemons show promise by helping suppress body fat accumulation (28). Key Point: One lemon has 3 grams of net carbs, while 100g provides around 6 grams of net carbohydrate. Sharing similar properties to lemon, lime is also one of the lowest carb fruits. Limes are a hybrid citrus fruit which has a very slight amount of sugar, but a lot of acid. As a result, they are only mildly sweet and have an intensely sour taste. 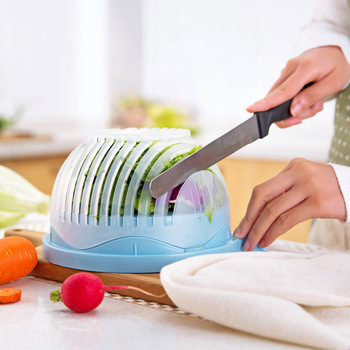 Interestingly, controlled animal studies show that concentrated lime juice and lime peel helped prevent atherogenesis (plaque in the arteries). This effect was significantly more powerful in the study group fed on the lime peel, suggesting a higher concentration of polyphenols (30). Limes contain a broad range of polyphenols and acids that have high antimicrobial activity (31). Key Point: There are 5.2 grams of net carbs in one lime. 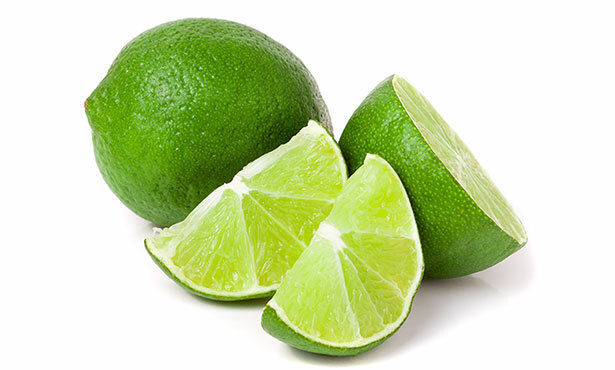 The number of net carbs per 100g is 7.7g, which makes lime one of the lowest carb fruits. Lingonberries are one of the lesser known low carb fruits, but they are a great food to eat on a low carb diet. Lingonberries grow both in the wild and domesticated, appearing on short shrubs. 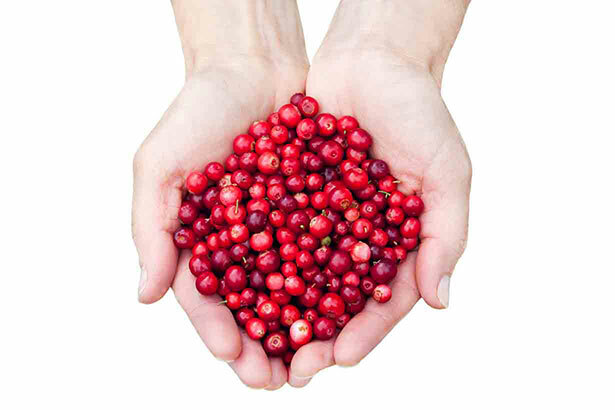 Lingonberries alter the gut microbiota and help prevent low-grade inflammation and obesity (33). In rats fed an unhealthy obesogenic diet, animals who supplemented with lingonberry daily experienced significantly less weight gain (34). Key Point: The total net carbohydrate comes to 7.8 grams in lingonberries. Part of the human diet for thousands of years, olives are one of the healthiest fruits, and they grow on small trees found in the Mediterranean region. Similar to avocados, olives are predominantly a source of fat. They are possibly the lowest carb fruit out there, they’re full of health-protective polyphenols, and they taste great too. Olives are one of the best low carb fruits and only contain 0.2 gram net carbs per ounce. They are one of the most significant sources of oleic acid, a monounsaturated fat known for its heart-protective properties (36, 37). A powerful phenolic compound called oleuropein is one of the main components of olive oil, and studies show that it can reduce inflammation and inhibit oxidative stress (38). Olive oil appears to reduce the risk of cardiovascular disease (39). Key Point: 100g of olives only contains 1 gram of net carbs. Raspberries are delicious and taste amazing with some cream. 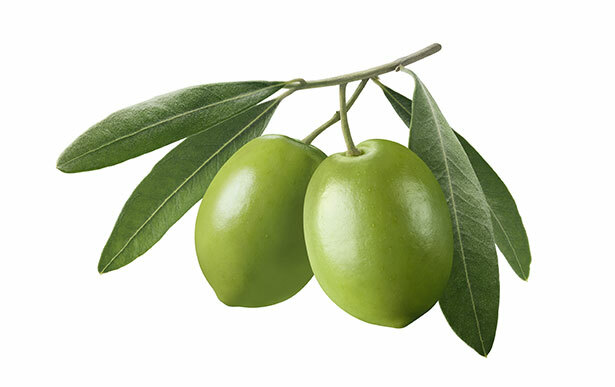 They’re a fruit with a minimal amount of carbohydrate, and they have many culinary uses too. Raspberries are one of the highest sources of antioxidants and contain ellagic acid. This particular polyphenol compound is very powerful, and studies show it can prevent oxidative damage, repair damaged DNA genes, and help minimize inflammatory responses to UV rays (41, 42). 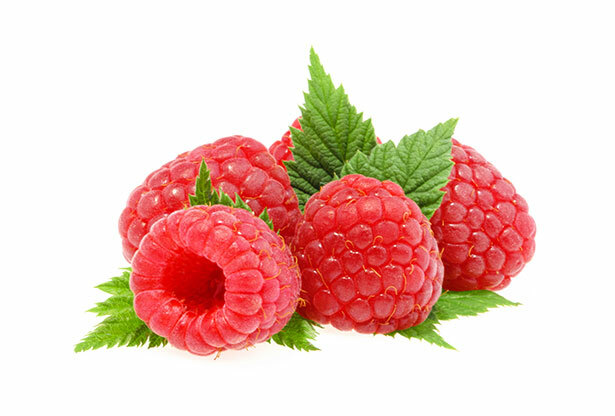 In studies, raspberries have also demonstrated the ability to reduce the proliferation of cancer cells (43). Key Point: Per cup, raspberries contain 6.7 grams of net carbs. On a per 100g basis, this reduces to 5.4 grams of net carbs. Salmonberries are a species of bramble that grow native to North America. The salmonberry is a unique fruit that can be difficult to find. However, it’s incredibly tasty and one of the very best low carb fruits. It has great health benefits too. Salmonberries are particularly high in manganese, a beneficial compound that is necessary for bone health and metabolism (45, 46). 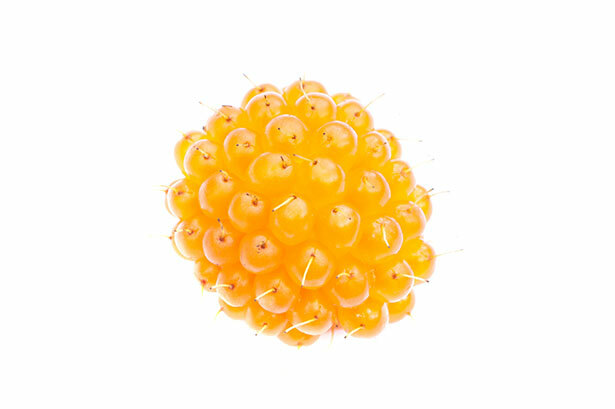 Salmonberries are relatively low in sugar, only containing 3.7 grams per 100g. It can be hard to find salmonberries in stores, but depending on the area you live in, you can go wild berry picking. As a wild berry, salmonberries are especially high in phytochemicals which help protect against chronic disease (47, 48). Key Point: Salmonberries have a net carb count of 8.2g per 100g. The humble strawberry is one of the most popular fruits in the world. Despite their sweet, juicy taste, they are also one of the finest low carb fruits. Strawberries have a strong, pleasant aroma and they’re one of the most delicious fruits. In a randomized controlled trial, participants with metabolic syndrome consuming strawberries experienced a decrease in atherosclerotic (arterial plaque) risk factors (50). 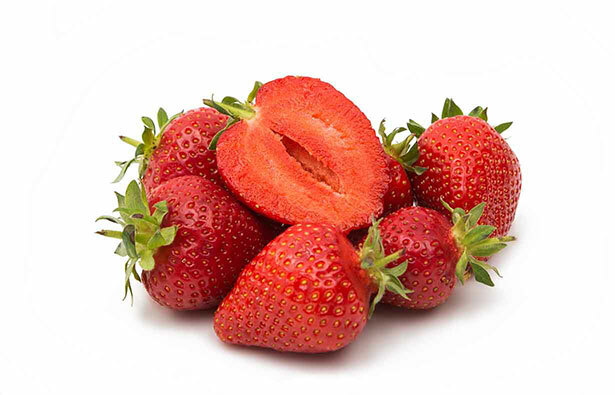 Strawberries contain a large source of polyphenols and bioactive compounds that help protect health (51, 52). A review of existing evidence suggests that strawberries may be able to help prevent diseases related to oxidative stress (53). Key Point: Per cup of strawberries there 8.7 grams of net carbs. 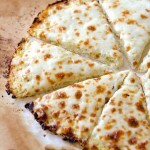 The net carb count falls to 5.7 grams per 100g. There is a widespread misconception that watermelon is little more than sugar and water. However, this fruit is actually reasonably low in carbohydrate! The key point is that many people eat huge slices of watermelon weighing hundreds of grams; in this case, the carbs start to add up. In short, including watermelon as one of your low carb fruits is possible if you watch the portion size. Watermelon is rich in the antioxidant lycopene. We can also see this compound in tomatoes, and scientists believe it has anti-inflammatory and anticancer properties (55, 56). 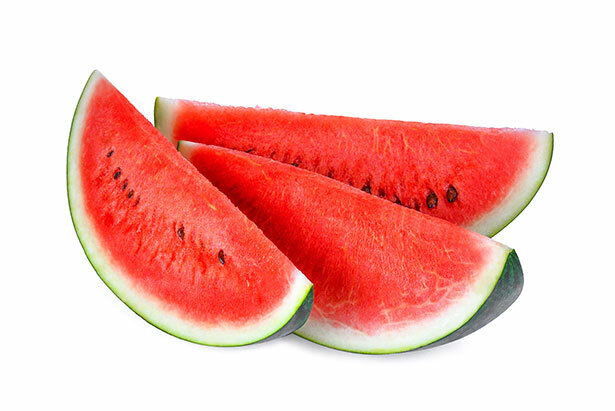 Extracts from watermelon such as L-Citrulline reduce arterial stiffness and blood pressure (57). Key Point: There are 7.1 grams of net carbs in watermelon per 100g. What is the Best Low Carb Fruit? 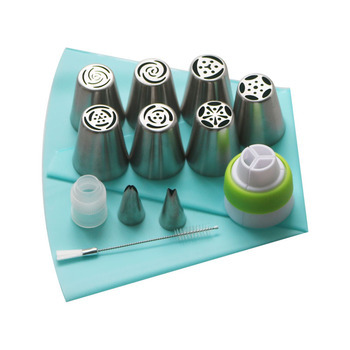 The best option comes down to your own personal taste. No matter what kind of low carb diet you are following, reasonable portion sizes of all fifteen of these fruits are fine. 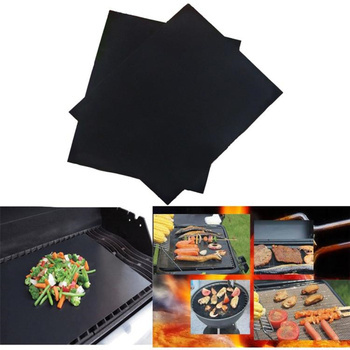 If you are careful, they can even fit into a strict plan like the ketogenic diet. While vegetables are generally more nutrient-dense, all of these fruits contain bioactive health-protective compounds. This is especially the case for berries, which along with avocados and olives are my favorite low carb fruits.